Found one file extension association related to Virtual Machine Manager and 1 file format developed specifically for use with Virtual Machine Manager. 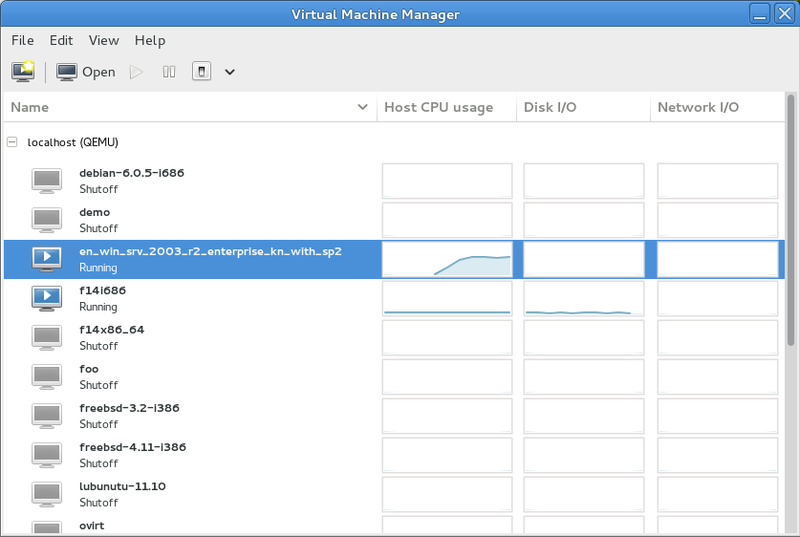 The virt-manager application is a desktop user interface for managing virtual machines through libvirt. It primarily targets KVM VMs, but also manages Xen and LXC (linux containers). It presents a summary view of running domains, their live performance & resource utilization statistics. Wizards enable the creation of new domains, and configuration & adjustment of a domain’s resource allocation & virtual hardware. An embedded VNC and SPICE client viewer presents a full graphical console to the guest domain. If you need more information please contact the developers of Virtual Machine Manager, or check out their product website.